Qatar’s Filipino community has grown by nearly 35,000 people in the past year, according to Ambassador Wilfredo Santos. Speaking to media last week, he said there were 188,000 Filipinos living here in 2015. That figure increased to 222,712 people this year – an 18 percent jump. This includes all categories of employees, including professionals, domestic workers and everything in between, officials said, according to the Gulf Times. There are also at least 20 new births registered each month in Qatar by Filipino mothers, officials said. 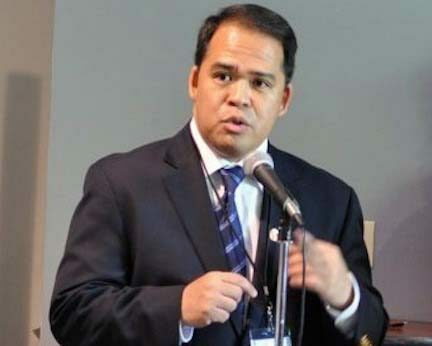 And the actual number of Filipinos in the country may be higher, because official figures don’t include people here on family or business visas, the newspaper quoted the embassy’s new Consul General Roussel Reyes as saying. The growth is a reversal for the local Filipino community, which shrunk in 2013 following an unofficial househelp ban. This was imposed by Qatar’s government following a dispute over a monthly $400 minimum wage for domestic workers. However, the issue now appears to have been resolved. In December, the Philippine Overseas Labour Office (Polo) said the number of employment contracts it processed in Qatar had increased six-fold in the past two years, from nearly 4,000 a year to 24,000 annually. At the time, an official attributed this to Qatar’s growing dependence on domestic labor from his country, after nations such as Indonesia, Bangladesh and Sri Lanka imposed migration restrictions to the Middle East. The community – Qatar’s third-largest, after Indians and Nepalis – is quickly outgrowing the current Filipino embassy in Qatar, officials said during last week’s media session. They made no mention however of moving to a new mission. Instead, to help deal with overcrowding and congestion, the embassy may soon introduce an appointment system, Qatar Tribune reports. “Our embassy is quite small compared to our population. The flow of transactions would be easier if we can have an appointment system. We are doing everything possible to make transacting at the Embassy more convenient for Filipino nationals.